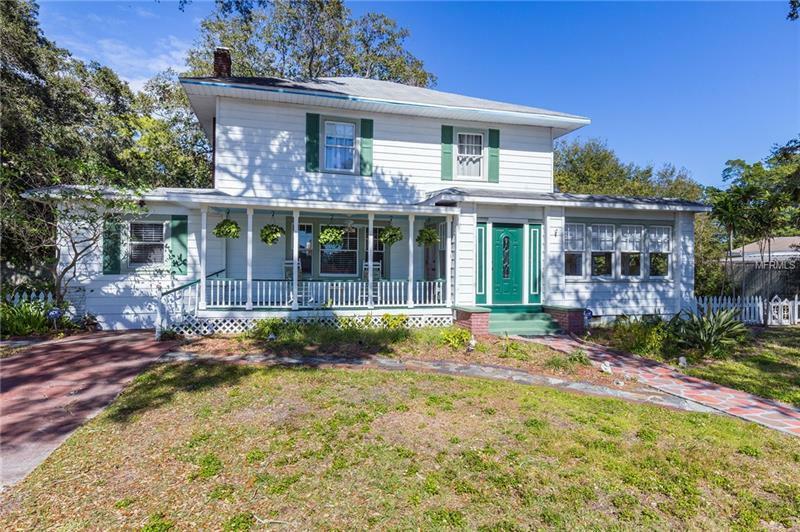 Built in 1920 and Overflowing with Original Charm & Character this Rare Dutch Colonial has been well maintained & thoroughly loved. Located in a NON-FLOOD ZONE! Huge TWO CAR Detached Garage! Perfectly Situated on an almost 10K SF parcel with Room to Roam! Large Fenced yard & Multiple Outdoor Living Spaces. So close to Gulfportâs Historic Waterfront Village & Beach! Walk or Bike around the Village & enjoy the Waterfront known for itâs Beautiful Beach Unique Shops Artists Dining & Nightlife. Dock your Boat at the Marina & enjoy EZ Access to the Bay Intracoastal & Gulf of Mexico! From the Original Wood Floors to the Restored French Doors youâll love the Solid Construction Quality Craftsmanship Charm & History of this Unique Residence. Spacious 4 BR 2 BA Home with just over 2300SF of Amazing Living Space. Huge Kitchen with Original Details & separate Butlerâs Pantry! The Formal Living and Dining Rooms are Bright & Sunny yet the Sunroom will likely be your Favorite Spot! Wake Up Happy in the Dreamy Master Bedroom with Walk In Closet. Two spacious Guest Bedrooms upstairs & 4th BR down can be Den/Office. Two Full Baths & Inside Laundry! Relax & Unwind on the Front Porch Entertain on the Back Deck & make it your Private Oasis. Huge 2 Car Garage & lots of Extra Parking. Close to Stetson College Shopping Dining & Entertainment! Quick trip Downtown St. Pete & the Gulf Beaches. Home Warranty Included! Don't Hesitate Schedule your Private Tour Today!